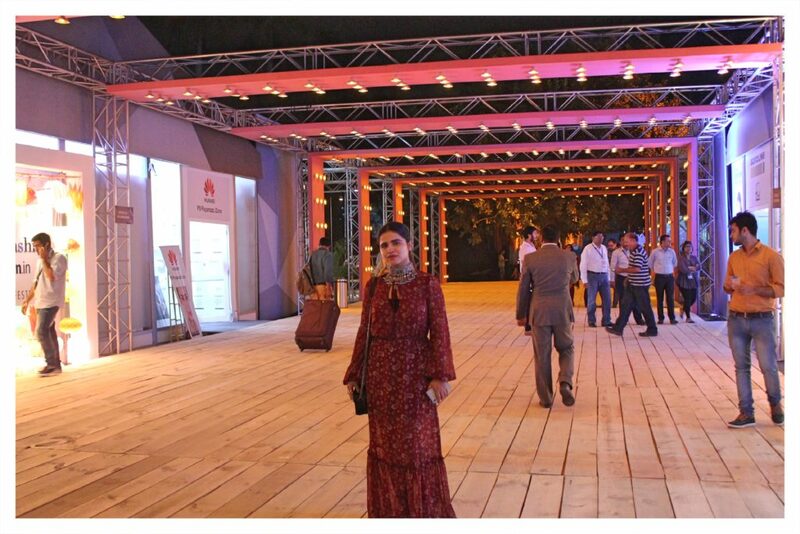 Amazon India Fashion Week, is one of the most prestigious fashion events in India, organized by FDCI. I always had a desire to attend this event and fortunately it happened! 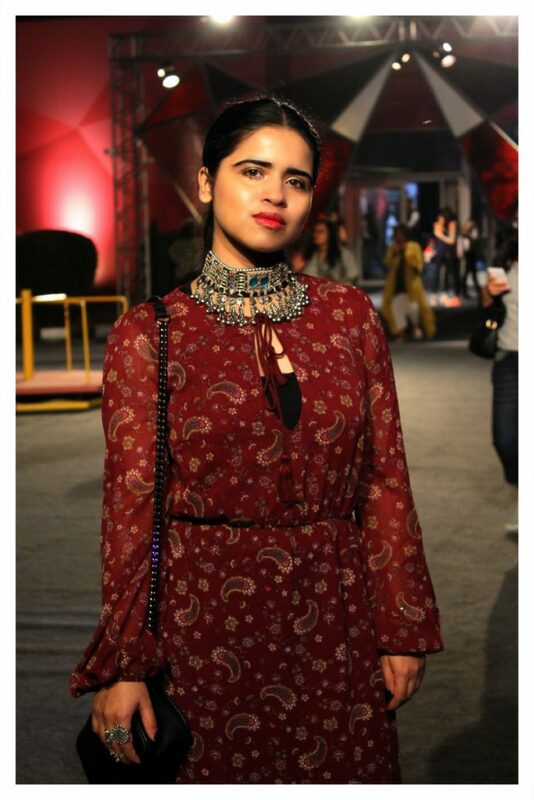 I tried my luck at ‘IAmACitizenOfFashion’ contest organized by Amazon and I got selected. This event which is a celebration of Indian designs, crafts and fabrics, brings so many talented designers on one big platform. From fashion designers to makeup artists to stylists to bloggers you see them all at this giant event. The theme of Amazon India Fashion Week Spring Summer 2017 this time was India Modern Festive, which I relate to so well. If you have been following my blog, by now, you must have understood that I love traditional yet modern style. So something in line with latest fashion trend and adding some festive feel to it, I came up with this look. 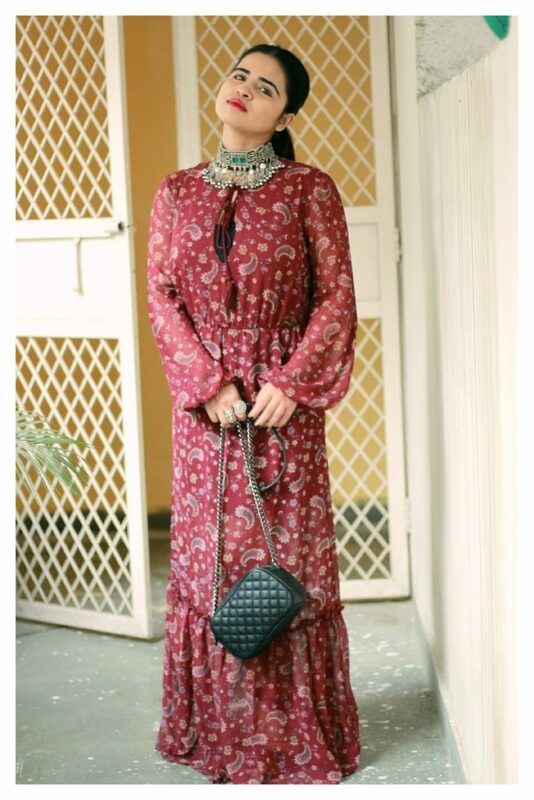 I laid my eyes on Bohemian maxi long back, when it became a big trend. And recent addition of tiers to that maxi, gave it a whole new definition of Bohemian Victorian Era dress (that is how I feel about it!). 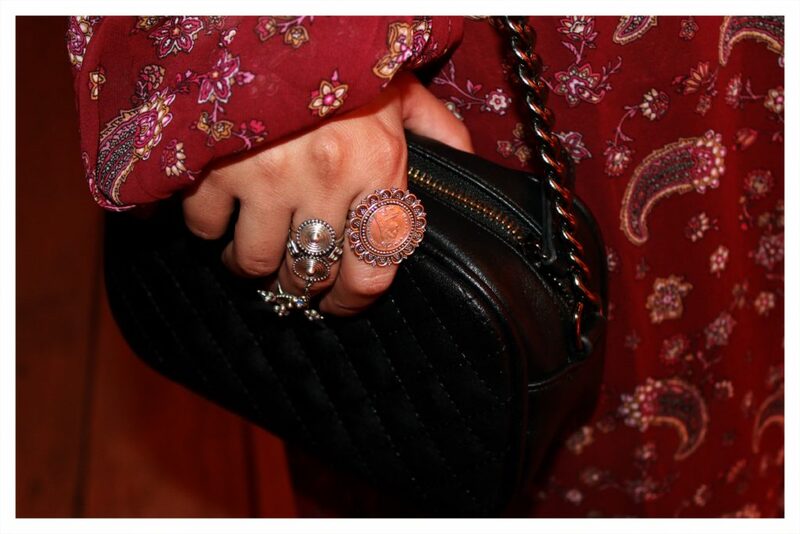 I chose burgundy color, which is THE color for fall, and to top it off it has paisley print. I would say this is my recent best find. 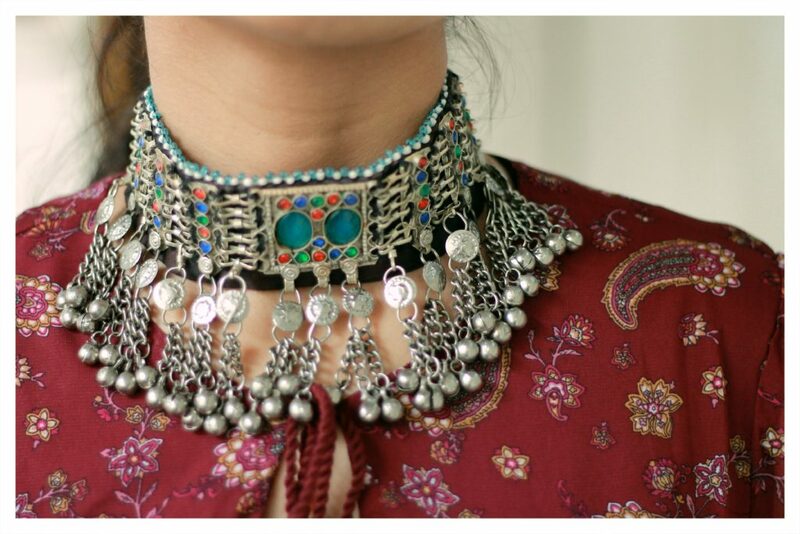 An Afghani choker necklace and silver rings, were my way of giving a festive touch. 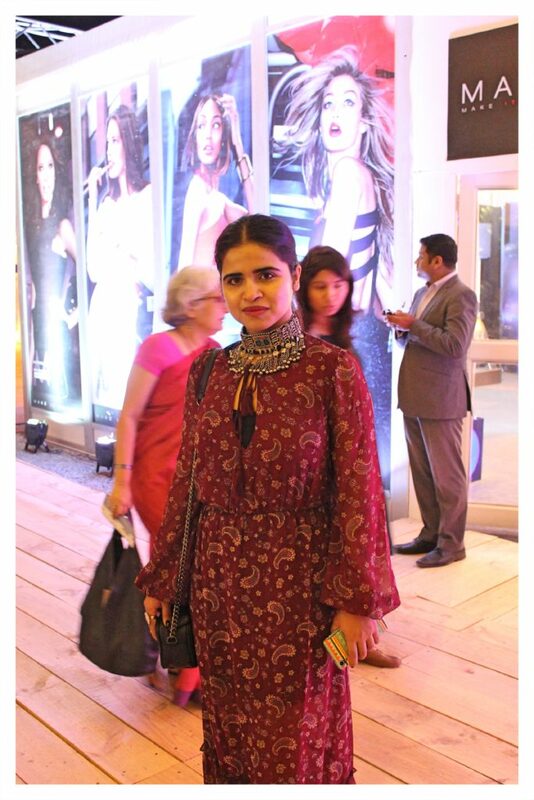 Style tip – You can skip necklace and go for a stack of bangles or bracelets with your maxi. Would love to hear how you find my look!